What If WWE Purchased ROH? EP 316 - This week, the Podcast Crew have many topics to discuss aside from Raw and Smackdown. What would happen if Ring of Honor were to be purchased by WWE? What did the Podcast Crew think about the recent hacking of several wrestlers? We discuss it all this week! 04/17 The Podcast Experience! [Download] Episode 408 - The Podcast Experience - This week, Tyler and Daniel discuss the Superstar Shakeup of Raw and Smackdown. What did they think of the War Raiders' new names? You'll have to tune in to find out. 04/11 WWE WrestleMania 35 Review [Download] Episode 407 - WrestleMania 35 Review - So much to cover and so little time! The guys cover it all this week as they review NXT Takeover, WrestleMania 35, Raw, Smackdown, and talk a bit about the Hall of Fame ceremony! It's a packed show you won't want to miss! 04/05 WWE WrestleMania 35 Prediction Show [Download] EP 406 - WrestleMania 35 Prediction Show - WrestleMania is finally upon us! Hear our predictions on the Biggest Stage of them All, plus get our thoughts on the NXT Takeover Card, Raw, Smackdown, and much more! 03/28 Interview with Shane Taylor [Download] Episode 405 - Interview with Shane Taylor - The guys are joined by Ring of Honor Star, Shane Taylor to discuss the upcoming G1 Supercard and much more! With WrestleMania right around the corner, there's plenty of WWE talk as well.. check it out! 03/22 Can I Have Some More Milk? [Download] Episode 404 - Can I Have Some More Milk? Daniel and Tyler discuss Kofi's Gauntlet Match, the announced opponent for Kurt Angle, NXT Takeover, and more! Make sure to tune in! 03/14 FrAiScToLcAhNeEt [Download] Episode 403 - FrAiScToLcAhNeEt - This week, the guys give their thoughts on Fastlane, talk about the emotional promo from Kofi Kingston and the rest of the New Day, and talk plenty about Ricochet! Make sure to tune in! 03/08 Fastlane Predictions 2019 & Mark Henry Interview [Download] EP 402 - Fastlane Predictions & Mark Henry Interview - This week, the guys sit down with WWE Hall of Famer Mark Henry! The guys also run down Raw, Smackdown, and give their Fastlane predictions! You won't want to miss this one!!! 02/28 Kofi Got Screwed! [Download] Episode 401 - Kofi Got Screwed! - This week, Daniel & Tyler talk about Roman Reigns' return, Kofi getting replaced on Smackdown and a whole lot of other things that you just need to hear for yourself... Alcohol was involved. Check it out. 02/21 EPISODE 400 - Charlotte Flair Interview [Download] EPISODE 400 - Charlotte Flair Interview - For their 400th episode, the Podcast Crew bring in guest host Noah to talk about Elimination Chamber, Raw, and Smackdown. Daniel also got to interview WWE Superstar, Charlotte Flair! You won't want to miss this! WOO! 02/14 Elimination Chamber 2019 Prediction Show [Download] Ep. 399 - Elimination Chamber Prediction Show - This week, the guys are ALL IN about talking AEW and what's going to happen in 2019. The guys also talk the controversial decision to suspend Becky Lynch and put Charlotte in the #1 Contender Spot. With Predictions for Elimination Chamber and more, you won't want to miss this episode! 02/08 The Man gets Suspended! [Download] EP 398 - The Man gets Suspended! - This week, Daniel and Tyler discuss Raw and Smackdown with Becky Lynch getting herself suspended! Is Ronda Rousey heel now? Are the fans booing her for the wrong reasons? We discuss! 02/01 Royal Rumble Review & ROH Interviews! - [Download] EP 397 - Royal Rumble Review & ROH Interviews! - This week, Daniel is by himself to review NXT Takeover, Royal Rumble, Raw, Smackdown, AND bring you exclusive interviews with stars from Ring of Honor! 01/18 ROH Star Shane Taylor Interview [Download] [YT] Episode 395 - ROH Star Shane Taylor Interview - This week, the guys are joined by Ring of Honor star Shane Taylor to discuss the upcoming Texas tour, his thoughts on AEW, and much more! The guys also talk about Raw, Smackdown, and the rumored departures for WWE. 01/10 Kicking Off 2019 - All Elite [Download] Episode 394 - All Elite - Kicking off 2019, Daniel and Tyler discuss all things All Elite! Who will jump from WWE to AEW? We discuss! Also, check out our recaps of Raw, Smackdown, and Part 1 of our review for WrestleKingdom! 12/21 WWE TLC 2018 Review Show [Download] Episode 393 - TLC Review - In their final episode of 2018, the Podcast Crew give their review of TLC, Raw, Smackdown and even look forward to next week's shows. Will the "Shake up" Mr. McMahon promised live up to the hype? We discuss. 12/13 WWE TLC 2018 Predictions [Download] Episode 392 - TLC Predictions - Daniel and Tyler go off on a tangent this week as they talk about how Raw is failing, how Smackdown is succeeding, and what's going to happen at TLC! You won't want to miss all the fun banter! 12/06 Fickle Rick [Download] Episode 391 - Fickle Rick - This week, Tyler and Daniel FINALLY solve their technical issues to talk about Raw and Smackdown. Is Raw really the number one show? Absolutely not. And the guys discuss why. Check it out! 11/15 WWE Survivor Series 2019 Prediction Show [Download] [YT] EP 390 - Survivor Series Predictions - What a week! Tyler and Daniel give recaps of Raw, Smackdown, the Becky Lynch invasion and give their predictions for NXT Takeover and Survivor Series! This is one packed episode! 11/09 WWE Crown Jewel 2018 Review [Download] Episode 389 - Crown Jewel Review - Was Crown Jewel as bad as every one says? Yes. But that doesn't stop Tyler and Daniel from reviewing it. At least we have Survivor Series to look forward to! 11/03 WWE Evolution Review / Crown Jewel Preview [Download] [YT] EP 388 - Evolution Review / Crown Jewel Predictions - This week, the Podcast Crew give their review on Evolution, Raw, and Smackdown! Then they give their predictions for Crown Jewel. Make sure to join the discussion on Facebook Live each week! 10/25 WWE Evolution 2018 Prediction Show [Download] [YT] EP 387 - Evolution Predictions - This week, Daniel and Tyler look ahead to the first-ever all women's WWE PPV, EVOLUTION! The guys also talk about Roman Reigns' shocking announcement, Dean Ambrose's heel turn, and more! Make sure to join the discussion on Facebook Live! 10/17 Ronda Rousey or Brock Lesnar? [Download] [YT] EP 386 - Ronda Rousey or Brock Lesnar? - This week, Daniel and Tyler give their thoughts on Raw, Smackdown 1000, and how much Ronda Rousey has grown in such a short time! You'll definitely want to join the discussion, so tune in to Facebook Live each week to chime in! 10/04 WWE Super Show-Down Predictions [Download] EP 385 - Super Show-Down Predictions - This week, Daniel and Tyler are anxiously awaiting WWE 2K19! But before they get to play, they must give their reviews for Raw and Smackdown, PLUS they give their predictions for the Super Showdown! If you want to join in on the discussion, make sure to catch their show LIVE on facebook! 09/27 That One Night in Milwaukee! [Download] [YT] WNS Podcast EP 384 - That One Night in Milwaukee - This week, Daniel and Tyler give their thoughts on Raw and Smackdown, but also have an in-depth discussion on who they would like to see make their way to the WWE, on if Ronda Rousey is a mainstay in WWE, and who they would like to see out of WWE. You won't want to miss this episode! Join the discussion on Facebook Live each and every week! 09/20 WWE Hell in a Cell 2018 Review Show [Download] [YT] Episode 383 - Hell in a Cell Review - The Podcast crew give their thoughts on Hell in a Cell, the odd ending to the show, and a recap of Raw, Smackdown and look forward to WWE 2k19! You should definitely check this episode out! 09/16 WWE Hell in a Cell 2018 Prediction Show [Download] Episode 382 - Hell in a Cell Prediction Show - This week, Tyler and Daniel try their best to get through the show but run into a few problems. They give their recap of Raw, Smackdown, and give their predictions for Hell in a Cell. Make sure to check it out as the guys TRY to do the show live on Facebook each week! 08/23 WWE SummerSlam 2018 Review Show [Download] [YT] EP 380 - SummerSlam Review - Daniel is doing a one man show this week and covers NXT Takeover, SummerSlam, Raw, Smackdown, and a whole lot more! Don't forget to tune in to Facebook Live every week! 08/17 WWE SummerSlam 2018 Prediction Show [Download] [YT] EP 379 - SummerSlam 2018 Prediction Show - Daniel is all alone this week, but that doesn't stop him from looking back on Raw & Smackdown and looking forward to NXT Takeover and SummerSlam! Make sure to join the show live on Facebook each week! 08/02 Will Becky Lynch be turning heel? [Download] Episode 378 - Will Becky Lynch be turning heel? - This week, the guys give their thoughts on Raw, Smackdown, Brock Lesnar, and what's going on with Becky Lynch? Will we see a new side of the Lass Kicker? 07/19 WWE Extreme Rules 2018 Review [Download] EP 376 - Extreme Rules Review - This week, the Podcast Crew give their thoughts on Extreme Rules including a look at how the crowd reacted during the Ziggler/Rollins Match. The guys also look ahead to SummerSlam and discuss Brock Lesnar's future! Make sure to tune in each week on Facebook as the guys do the show live! 07/13 WWE Extreme Rules 2018 Prediction Show [Download] EP 375 - Extreme Rules Prediction Show - This week, the guys give their thoughts on Raw, Smackdown, and give their predictions for Extreme Rules! Make sure to watch the show live of Facebook every week! 07/06 4th of July Celebration [Download] EP 374 - 4th of July Celebration - This week, Tyler and Daniel celebrate their Independence Day by reviewing Raw and Smackdown, there's also some video game talk, hot topics, and more! Make sure to tune in to Facebook Live to catch the show as it's happening! 07/01 Happy Birthday Abear [Download] EP 373 - Happy Birthday Abear - Join the early celebration since Tyler's birthday is this weekend! The guys give their thoughts on Raw, Smackdown, and the reformation of Team Hell No! Make sure to tune in to facebook for the live stream! 06/21 WWE Money In The Bank 2018 Review [Download] EP 372 - Money in the Bank Review - This week, the guys cover it all as Daniel and Tyler give their thoughts and reviews on NXT Takeover, Money in the Bank, Raw, Smackdown, and a whole lot more! 06/14 WWE Money in the Bank 2018 Prediction Show [Download] EP 371 - Money in the Bank Prediction Show - This week, Daniel remembered to hit the "Record" button so there's a show to enjoy! Hear our predictions for Money in the Bank, a preview of NXT Takeover: Chicago, and a whole lot more! CLICK PLAY! 05/31 Better fit for Brock [Download] EP 369 - Better fit for Brock - This week, the Podcast Crew give their thoughts on the booking of Bobby Lashley, the horrible Raw Tag Team Division, and who would be the best option to go up against Brock Lesnar at SummerSlam! You won't want to miss this fun filled episode! Bet! 05/24 What does the FOX say? [Download] EP 368 - What does the FOX say? - This week, Tyler and Daniel discuss the huge possibility of moving Smackdown over to the FOX Network. The guys also discuss their time at WrestleThon, Raw, Smackdown and look ahead to MITB! 05/19 Getting Ready for WrestleThon! [Download] Episode 367 - Getting Ready for WrestleThon - This week, the guys get ready to take part in a charity event called WrestleThon! Tyler and Daniel also give their thoughts on Raw, Smackdown, All In selling out, and look ahead to MITB! 05/10 WWE Backlash 2018 Review [Download] EP 366 - Backlash Review - Daniel and Tyler give their thoughts on Backlash and what is worth watching. The guys also talk about Raw, Smackdown, look ahead to Money in the Bank, and also announce their involvement with WrestleThon! 05/03 WWE Backlash 2018 Predictions [Download] EP 365 - Backlash Predictions - This week, the Podcast Crew get the audio fixed and talk about the Greatest Royal Rumble, recap Raw and Smackdown, and give you their thoughts and predictions for Backlash taking place this Sunday. Make sure you check it out! 04/26 The Greatest Royal Rumble Preview [Download] Ep 364 - The Greatest Royal Rumble Preview - This week, Tyler returns as the guys talk about Raw, Smackdown, and look ahead to the Greatest Royal Rumble event! Make sure to check it out! 04/19 WWE Superstar Shakeup Review [Download] EP 363 - Superstar Shakeup - Ryan steps in for Tyler this week to help Daniel recap the Superstar Shakeup! Who now has the better roster? What was Daniel doing at Booker T's Reality of Wrestling? You'll find out by clicking play! 04/12 WrestleMania 34 Week Review [Download] Episode 362 - WrestleMania Week Review - This week, the Podcast Crew have a LOT to discuss as they give you their thoughts on NXT Takeover, WrestleMania 34, Raw, Smackdown and a whole lot more! Make sure you click play and enjoy! 04/05 WWE WrestleMania 34 Prediction Show [Download] [YT] Episode 361 - WrestleMania Prediction Show - The biggest show of the year is here and Tyler and Daniel are pumped to give you their thoughts on Raw, Smackdown, NXT Takeover, and of course their predictions for WrestleMania! 03/22 Daniel Bryan Cleared! [Download] EP 359 - Daniel Bryan Cleared! - This week Daniel and Tyler return to the podcast world to discuss the medical clearing for Daniel Bryan, The Ultimate Deletion, Mark Henry's Hall of Fame induction, and more! Click play now! 03/01 Rey Mysterio Returning For WrestleMania 34? [Download] EP 358 - Elimination Chamber Results - This week, the Podcast Crew review Elimination Chamber, discuss the future for Ronda Rousey, and the rumored return for Rey Mysterio! You won't want to miss this episode! 02/22 WWE Elimination Chamber 2018 Prediction Show [Download] [YT] EP 357 - Elimination Chamber Predictions - This week, Tyler and Daniel have a HUGE announcement to start off the show. The guys also talk about the amazing Seth Rollins performance on Raw and give their predictions for Elimination Chamber! 02/08 Women's Elimination Chamber Participants Revealed [Download] [YT] EP 356 - Women's Elimination Chamber Participants Revealed - This week, the guys give their reviews of RAW, Smackdown, and Tyler's newest gaming obsession! The guys also bring back PVP and you won't want to hear the final 10 minutes! 02/01 Rowdy Ronda Rousey Joins WWE [Download] [YT] EP 355 - Ronda Rousey signs with WWE! - This week, the Podcast Crew give their review of NXT Takeover and what could be two match of the year contenders, the Royal Rumble, Raw, Smackdown, and a whole lot more! 01/24 Enzo Fired! [Download] EP 354 - Enzo Fired! - This week, the Podcast Crew give their thoughts on the release of Enzo Amore, Raw25, and give their thoughts and predictions on the Royal Rumble! You won't want to miss this rant filled, promo cut, episode! 01/18 Mixed Match Challenge [Download] [YT] EP 353 - Mixed Match Challenge - This week, Tyler is stuck in his apartment while Daniel is in the studio, so the guys discuss the Mixed Match Challenge, signings of War Machine and Ricochet, recap Raw and Smackdown and discuss a whole lot more! 01/11 Promo vs. Promo [Download] [YT] EP 352 - Promo vs. Promo - Daniel and Tyler introduce their newest segment "PVP" or Promo vs. Promo which takes YOUR topics and turns them into a promo against one another! The guys also recap Raw, Smackdown, and look ahead to the Royal Rumble and the Mixed Match Challenge! 01/04 Welcome To 2018 [Download] [YT] EP 351 - Welcome to 2018 - The guys are back from their vacation and discuss Raw, Smackdown Live, and the announcement of the first ever Women's Royal Rumble! The guys also announce a new segment that needs YOUR involvement! Click play now! 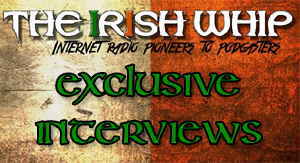 12/21 Jinder Mahal Interview Replay [Download] UPDATE: WNS Podcast will be taking an extended Christmas break. We'll be back in the New Year 2018! We're replaying our recent interview with former WWE Champion Jinder Mahal. During the interview Mahal discussed his preparations for facing Brock Lesnar, AJ Styles being a distraction, his time away from WWE, relationship with Vince McMahon and winning the WWE Championship. 12/15 WWE Clash Of Champions Prediction Show [Download] [YT] EP 350 - Clash of Champions Prediction Show - This week, Tyler and Daniel discuss the Rich Swann incident, recap Raw and Smackdown, and give you their predictions for Clash of Champions! You won't want to miss this episode! 12/07 Get Woke! [Download] EP 349 - Get Woke - Daniel and Tyler review Raw and Smackdown Live and discuss the "Woken" Matt Hardy gimmick making its debut in WWE. Daniel also has quite the rant for WWE Supercard. Make sure you click play and enjoy! 11/30 We're Back! - Matt Hardy's Breakdown [Download] [YT] EP 348 - Matt Hardy's Breakdown - This week Tyler and Daniel return from the holidays to discuss their time at NXT Takeover and Survivor Series! They also discuss the debut of Absolution & Riott Squad and the venture of Cody and the Young Bucks going "All In". You won't want to miss this episode!! 11/17 WWE Survivor Series Predictions 2017 [Download] [YT] EP 347 - Survivor Series Predictions - This week, Tyler and Daniel look forward to their upcoming trip to Houston for NXT Takeover: War Games and Survivor Series! Before they go, they run down the card and give you their predictions! Make sure to click play now! 11/09 Jinder Mahal Interview [Download] [YT] EP 346 - Jinder Mahal Interview - This week, the Podcast Crew interview (now former) WWE Champion Jinder Mahal! The guys also look forward to Survivor Series and Chris Jericho vs. Kenny Omega at WrestleKingdom 12! Click play now! 11/02 Alexa Bliss Interview [Download] [YT] EP 345 - Alexa Bliss Interview - This week, the Podcast Crew is joined by WWE Raw Women's Champion Alexa Bliss! The guys also discuss Raw, Smackdown, and the releases of Emma, Darren Young, and Summer Rae! 10/26 WWE TLC 2017 Review Show [Download] [YT] EP 344 - TLC Review - This week, Daniel and... the ghost of Tyler(?) review TLC, Raw, Smackdown Live, look ahead to Survivor Series, and discuss the terrible week that Jeff Jarrett had. Tyler also talks about his time at Doomsday Wrestling, but was it his last wrestling show? 10/19 WWE TLC 2017 Prediction Show [Download] [YT] EP 343 - TLC Predictions - This week Daniel and Tyler give their first impressions of WWE 2K18, talk about Raw and Smackdown, and give their predictions for TLC! 10/05 WWE Hell In A Cell Predictions 2017 [Download] [YT] Episode 342 - Hell in a Cell Predictions - This week, it's safe to say that Tyler and Daniel are pumped for WWE 2K18! The guys also give their predictions for Hell in a Cell and review Raw & Smackdown! Click play now! 09/29 EP 341 - No Mercy Review [Download] [YT] EP 341 - No Mercy Review - This week, Ryan joins Tyler and Daniel to talk about WWE 2K18, give their review of No Mercy, Raw, and Smackdown Live, and much more! Do yourself a favor and click play! 09/22 WWE No Mercy Predictions 2017 [Download] [YT] EP 340 - No Mercy Predictions - This week, Tyler returns to help Daniel talk about Raw, Smackdown and preview No Mercy. The guys also discuss the passing of Bobby "The Brain" Heenan, WWE 2k18, and much more! 09/14 One Man Show! [Download] [YT] Episode 339 - One Man Show - For the first time ever on the WNS Podcast, there is only one host! Daniel tries his best to recap what happened on Raw, Smackdown, the Mae Young Classic and the Kevin Owens headbutt to Mr. McMahon! It's a short show this week, so give it a listen! 09/07 Recovery From Hurricane Harvey [Download] [YT] EP 338 - Recovery from Harvey - Following the events of Hurricane Harvey, Tyler is unable to join the show so "Get Down" Dave Brown steps in to help Daniel run down Raw, Smackdown and a list of other wrestling news including Jeff Jarrett leaving GFW! You won't want to miss this! 08/31 Sasha Banks Interview (Replay) [Download] [YT] This week's episode of the WNS Podcast which is based in Beaumont, TX has been canceled due to Hurrican Harvey which has devasted vast swathes of eastern Texas. We have decided to reply our exclusive interview with WWE Superstar Sasha Banks in which she discussed a number of topics including her chemistry with Bayley, thoughts before going into the first ever women’s Hell In A Cell match and her desire to main event WrestleMania in the future. We hope to be back up and running next week! #TexasStrong. 08/24 WWE SummerSlam Review Show [Download] [YT] EP 337 - SummerSlam Review - This week, Tyler and Daniel cover all of the events of the past week including NXT Takeover, SummerSlam, Raw, Smackdown, even the debut of Adam Cole, Bobby Roode to Smackdown, and Enzo to 205 Live! This episode is just GLORIOUS! 08/17 WWE SummerSlam Predictions 2017 [Download] [YT] EP 336 - WWE SummerSlam Predictions - This week, Tyler and Daniel have a LOT to cover this week as they discuss Lucha Underground, Raw, Smackdown Live, NXT Takeover Brooklyn III, AND give their predictions for the upcoming SummerSlam weekend! You won't want to miss this packed episode! 08/10 Doug's Farewell [Download] [YT] EP 335 - Doug's Farewell - The Podcast Crew are at full strength for the final time as Doug will be leaving the show. Help us say goodbye as we recap Raw, Smackdown, and look forward to SummerSlam! Click play now. 08/05 Podcast on the rocks? [Download] [YT] EP 334 - Podcast on the rocks? - This week, the Podcast Crew talk about Raw, Smackdown, Shinsuke Nakamura becoming the Number One contender, and more. Is everything okay in the podcast world? Tune in to find out! A show not to be missed!!! 07/27 WWE Battleground Review Show [Download] [YT] EP 333 - WWE Battleground Review Show - This week, The Podcast Crew give their thoughts on the Battleground Pay-Per-View, AJ Styles losing and regaining the US Championship on SmackDown Live, the surprising return of Chris Jericho, Raw, and looking ahead to the biggest event of the Summer...SummerSlam! This is an episode not to be missed, CLICK PLAY or DOWNLOAD now! 07/20 WWE Battleground Predictions 2017 [Download] [YT] EP 332 - Battleground Predictions - This week, the Podcast Crew run down Raw, Smackdown, give their predictions for Battleground, and discuss the helicopter crash that involved Shane McMahon but were more focused on a dudes socks! You won't want to miss this! 07/13 WWE Great Balls of Fire Review Show [Download] [YT] EP 331 - WWE Great Balls of Fire Review - This week, the Podcast Crew talk about the upcoming Floyd Mayweather/ Connor McGregor fight, the troubling situation between WWE Superstar Paige and her fiancee GFW Champion Alberto El Patron, their thoughts on Sunday's Great Balls of Fire which saw Brock Lesnar retain his Universal Championship, the excellent Reigns/Lesnar/Joe segment on Monday's Raw, and camera angles! This is an episode not to be missed. Hit play or download now! 07/06 WWE Great Balls Of Fire Prediction Show 2017 [Download] [YT] EP 330 - Great Balls of Fire Predictions - This week, the Podcast Crew cover all sorts of topics! From Raw, to Smackdown, to the worst WWE PPV Names ever, to their predictions for Great Balls of Fire! This is one episode you won't want to miss! Click Play now. Don't forget to submit us your feedback at facebook.com/wnspodcast. 06/29 The Boys Are Back! [Download] [YT] EP 329 - The Boys are Back - After a week's absence, the podcast crew have returned! This week, the guys give their thoughts on the Women's Money in the Bank Ladder, including the 2nd one which took place on SmackDown Live and Samoa Joe vs. Brock Lesnar match which is set for Great Balls of Fire. The boys also delve into the world of Boxing and the recently annouced Floyd Mayweather vs.Connor McGregor bout, and more. A show not to be missed. Don't forget to leave us a star rating and submit your feedback at Facebook.com/WNSPodcast. 06/27 Sasha Banks Interview [Download] [YT] This week the WNS Podcast crew take a weeks break, but we'll be replaying our exclusive interview with WWE Superstar Sasha Banks in which she discussed a number of topics including her chemistry with Bayley, thoughts before going into the first ever women’s Hell In A Cell match and her desire to main event WrestleMania in the future. It's certainly one not to be missed! 06/15 WWE Money In The Bank Predictions 2017 [Download] [YT] EP 328 - Money in the Bank Predictions - This week, Doug returns to help give predictions for Money in the Bank and talk about the Samoa Joe / Brock Lesnar match! Also, find out who the guys would want to hang out with if given the chance! 06/01 WWE Extreme Rules Predictions 2017 [Download] [YT] EP 326 - Extreme Rules Predictions - This week, Tyler and Daniel give their predictions for Extreme Rules and talk about the first ever Women's Money in the Bank! You won't want to miss it! 05/25 Jinder Jinder, Chicken Dinner [Download] EP 325 - Jinder Jinder, Chicken Dinner - This week, the Podcast Crew talk about Jinder Mahal becoming WWE Champion, give their thoughts on NXT Takeover, Backlash, and more! 05/18 WWE Backlash Predictions 2017 [Download] [YT] EP 324 - Backlash Predictions - The Podcast Crew give you their thoughts on the Universal Title plans for Roman, Braun, and Brock while also giving you their predictions for Backlash and NXT Takeover! Make sure you check this one out! 05/11 WWE in the UK [Download] [YT] EP 323 - WWE in the UK - This week, Ryan joins the Podcast Crew to discuss, Raw, Smackdown, and more! With Braun injured, was Raw worth watching? Find out what the guys think! 05/04 House of Horrible [Download] [YT] EP 322 - House of Horrible - This week, Daniel and Doug give their take on Payback, the House of Horrors Match, the upcoming Great Balls of Fire PPV, and more! With Raw & Smackdown talk as well, you won't want to miss this interesting episode! 04/27 WWE Payback Predictions 2017 [Download] [YT] EP 321 - Payback Predictions - This week, the guys run down a terrible Raw, a solid Smackdown, and give you their predictions for Payback. Will their predictions match yours? 04/20 WWE Superstar Simon Gotch Interview [Download] [YT] EP 320 - Simon Gotch Interview - Should Smackdown get a third hour? The Podcast Crew discuss the possibility, as well as Braun Strowman and Big Show breaking the ring! The guys also interview former WWE Superstar Simon Gotch of the Vaudevillians! You won't want to miss this! 04/13 Braun's Warpath! [Download] [YT] Ep 319 - Braun's Warpath - This week, the Podcast Crew talk about the destruction of Roman Reigns at the hands of Braun Strowman, the controversy surrounding JBL and Mauro, and the Superstar Shakeup! It's all here and if you're wild and young, click play! 04/07 WrestleMania Week 33 In Review [Download] [YT] EP 318 - WrestleMania Week in Review - This week, the Podcast Crew give their take on the WWE Hall of Fame, NXT Takeover, WrestleMania, Raw, Smackdown, the retirement of The Undertaker, the booing of Roman Reigns, and much more! We cover it all in this week's episode, so click play now! 03/29 WWE WrestleMania 33 Prediction Show [Download] [YT] Episode 317 - WrestleMania Predictions - Tyler and Doug are trapped in their homes due to flooding! But that won't stop us from bringing you our Wrestlemania predictions! We also feature a debate about chewing gum.. you'll want to listen and join in! Apologies if the audio is not to our normal standard. 03/23 What If WWE Purchased ROH? [Download] [YT] EP 316 - This week, the Podcast Crew have many topics to discuss aside from Raw and Smackdown. What would happen if Ring of Honor were to be purchased by WWE? What did the Podcast Crew think about the recent hacking of several wrestlers? We discuss it all this week! 03/16 AJ Styles Fired! [Download] [YT] EP 315 - AJ Styles Fired! - This week, Tyler wants to talk about TNA... OOPS! He means Impact! We also discuss Raw, Smackdown, the AJ Styles / Shane McMahon confrontation, and more! 03/09 WWE Fastlane 2017 Review [Download] [YT] Episode 314 - Fastlane Fallout - This week, the Podcast Crew are joined by their good friend Ryan to talk about Fastlane, Raw, Smackdown, the build of Roman and Braun, and much MUCH more! 03/02 WWE Fastlane 2017 Predictions [Download] [YT] EP 313 - Fastlane Predictions - This week, the Podcast Crew discuss Randy Orton burning the Wyatt compound, give their Fastlane predictions, and the sinking ship status of TNA! You won't want to miss this! 02/23 The Building of Braun [Download] EP 312 - The Building of Braun - This week, the Podcast Crew discuss if removing the Women's Championship from Naomi was the best decision or not, the wildly successful build of Braun Strowman, and look ahead to Fastlane and WrestleMania! 02/16 WWE Elimination Chamber 2017 Review [Download] EP 311 - Elimination Chamber Review - The Podcast Crew discuss the Elimination Chamber and the title changes that occurred this past week including Bray Wyatt, Naomi, and Bayley! The guys also discuss the Festival of Friendship and much more! 02/09 WWE Elimination Chamber 2017 Prediction Show [Download] [YT] EP 310 - Elimination Chamber Predictions - The Podcast Crew are back and they have a LOT to talk about! Covering their time in San Antonio for Evolve, NXT Takeover, Royal Rumble, THEN covering Raw, Smackdown and giving their predictions for Elimination Chamber! You won't want to miss this episode! 01/26 WWE Royal Rumble 2017 Show [Download] [YT] EP 309 - Royal Rumble Predictions - The Crew returns to finally discuss the UK Tournament. They also give their predictions for the Royal Rumble, talk about NXT Takeover, Smackdown, Raw, and Shaq Fu? You won't want to miss this! PLEASE NOTE: There will be no episode for Feb 2. We'll be back next week on Feb 9.